I am glad to welcome Amish fiction author, Dee Yoder, to The Power of Words! 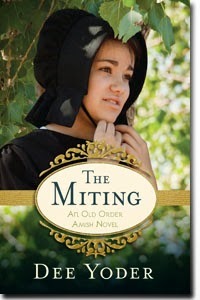 Dee's debut novel, The Miting, is moving, compelling, informative, uncomfortably real at times - and a story that I think Amish fiction fans will find very interesting. You can see my review here. But what I found most fascinating is Dee's passion for helping the formerly Amish and her involvement with the Mission to Amish People organization, which she tells about in her interview. Dee is also giving a copy of The Miting to one of you, and if you have any thoughts or questions about this ministry, don't hesitate to ask. Now meet Dee . . .
Q: Please share a little bit about yourself, Dee. Married with kids? Empty nester? Do you work full-time and write when you can squeeze it in? I am married and have one young adult son. My son’s father passed away from cancer when our son was three. I re-married Arlen Yoder and we will celebrate 18 years of marriage soon. Most of my husband’s extended family is Amish from the Holmes County, Ohio area. My husband grew up in Berlin, Ohio. I keep busy with writing, doing our small church bulletin, writing the former Amish bi-annual newsletter, Dee’s News, for Mission to Amish People, mentoring and helping the former Amish who come to our area, and enjoying my family. And the exciting news this year is I’m a new grandmother! My informally adopted ex-Amish daughter and son-in-law just had their first little boy. What a joy and a blessing! Q: What are three "fun" or "unique" things about you? 1) I used to work in research and handled studies with thousands of rats and their little babies because my job was to observe for birth defects and reproductive problems in successive generations. I was bitten only once by a mama rat, and made friends with lots of beady-eyed critters. I always knew, as soon as I stepped into my study room, when a rat had escaped his cage by how his comrade’s eyes focused on their renegade pal trying to hide along the wall. Then all eyes would swing to me at the door. They seemed to be thinking “Uh oh. What’s she going to do now?” I learned to open the door and close it quickly behind me, just in case one had “gone over the wall”. Contrary to popular belief, rats can be fun. But my study buddies were all white. When I see a wild brown rat now, I scream and run, like any other sane person. 2) When I was in third grade, my uncle had a job helping to construct the John Hancock building in Chicago. He took us to the top floor of the building on the freight elevator before any walls or windows were put in! It was scary. I clung to the existing back wall with my mom, but my sister, brother and dad ventured to the edge and looked down. Even from where I stood hovering near safety, I could actually see the building swaying. Two summers ago, my husband, son, and I went back to the building for the first time since I was a little girl. As the elevator doors opened to the top observation floor, the view was exactly the same! With walls. And windows, of course. 3) I went on a disco on the Rhine in the hey-day of disco. The boat with loaded with military and it was smoke-filled and noisy. I ended up outside, in the rain, on the top deck, to escape the partiers. I met a soldier up there from Oklahoma who knew someone living within a few miles of my home in Ohio! We had great fun, and stood up to salute and sing the star-spangled banner when we passed a US flag along the way. I got wet, but it was wonderful to see the sights from outside and meet with a patriot when both of us were so far from home. On that same trip the summer of 1978, I was in Versailles Palace outside of Paris when gendarmes came rushing inside, guns at ready. After returning to what was then West Germany that evening, I learned a terrorist bomb had been detonated, destroying many of the Napoleon rooms I saw that day. Thank God He protected all visitors from harm. My son claims the many more odd events in my life give me great fodder for my writing, and, indeed, there are some stories that made it into the flash fiction I wrote at FaithWriters and some are included in my coming-of-age novel The Powerful Odor of Mendacity. I plan to work on that poignant and funny manuscript once I complete my Amish series for Kregel Publications. Q: You seem to have a heart for the Amish. Tell us a little about your experience with the Mission to Amish People organization. I have a connection to the Amish through my husband, and I also grew up in the area where The Miting is set. I had Amish neighbors as a child, but nothing prepared me for what I learned about the Old Order and Swartzentruber Amish, the strictest of the Amish groups. I met Joe Keim through my husband’s interaction with Joe’s former Amish young men’s Bible study. They began to meet in our home on Saturday mornings and I decided to go to the MAP website to learn about Joe and the ministry. The more we got to know the former Amish who were coming to our area from all over the US, the more their stories broke my heart. Over the years, there were, and are, so many things to celebrate about our former Amish friends and how they go on in life. Many do so in spite of the shunning, much of it unofficial, since many left before joining the church. Yet, there is heartbreak, too. Being associated with MAP also led to our family becoming involved in the videoing of two documentaries filmed at our home: PBS’s American Experience: The Amish, Parts 1 and 2, and National Geographic’s Amish: Out of Order with Mose Gingerich. Mose gave his heart to Jesus at our dining room table and it is a moment I will never forget. The Lord was very present as His love wrapped us all in peace. Q: Tell us a little about the novel we are featuring today, The Miting. The Miting is a book based on my former Amish friends’ stories. I have included many of their experiences in the tale of Leah and her friends. Leah is made up from three young ladies I especially love. One of those young ladies is our adopted daughter—she’s so precious to us. I wanted to show both sides of what it means to have a shunning, or miting, in the strictest groups of an Amish family. I prayed every time I sat down to write because my goal was not to cause controversy, though I knew controversy would be unavoidable in the sharing of such an honest story, but to shed light. To let the story of the former Amish, with all its joys and struggles, be the priority. It was a labor of love and conviction. And my prayer has always been that readers not only learn something, but open their hearts to both sides of what it means to be Amish. Being Amish is not simple, nor is it uncomplicated, as we so often believe it is while viewing the lifestyle from the outside looking in. I sincerely hope my goals were accomplished. Q: Describe The Miting in 5 adjectives. Powerful. Honest. Heart-breaking. Joyous. God-breathed. Q: What are some things that will draw readers to Leah? I believe readers can relate to Leah’s maturing into adulthood. I wanted to show her curiosity and desire to know more about the whys of her life and where God fits into it. I’m sure many of us have wondered if Amish teens do yearn for something more, just as English teens do at that age. I know I certainly had a longing at eighteen to find out what God meant to me, personally, when I was entering my young adult years. It’s a story about the human need to fill that hole in the soul, and it’s a story about how religion alone often falls short of filling that emptiness with what only God can give. I also wanted her to be a little bit like each of the young ladies I based her character on. Fun. Adventurous. Quiet. She’s steadfast, as well as often unsure of herself and how to fit into her world. I hope they are able to empathize and sympathize with her in her struggles, and not just because she is Amish, but because she is human. Q: In The Miting, Leah says: "I just couldn't go back to living under the Ordnung. I knew I couldn't give up on God." Is it possible for the Ordnung and personal relationship with Christ to co-exist? It’s important for readers to know that there are many, many Amish sects. Some are more open to the gospel message of Jesus being our gate to heaven. But some are strictly adherents to the forefathers and tradition, and their Ordnungs reflect that belief. All Amish consider themselves born into Christianity by birth. Some readily accept that Jesus is their way to heaven, and good works are just the fruit of that relationship. But the ones we are familiar with count highly on living the good works as a means to gaining a heavenly home. Because of this, the Ordnung letter is often filled with rules that are nearly impossible to keep, day in and day out. This form of religion can lead to fear and reporting on one another. It’s nothing new. We’ve done this with religion since we’ve been born on the earth. The Bible is filled with examples of how we humans fall into relying on what we can do, in our human strength, to make ourselves worthy of God’s gift of heaven. Unfortunately, we humans have never succeeded in our works alone. But God’s mercy and love for us sent His Son Jesus so we could rely on Christ’s one good work to free us from sin’s grasp. For those Amish who cling to Jesus as their way to heaven, life is still not simple, but the fear of failure is greatly relieved. Q: What do you hope your readers will take away from The Miting? I hope readers take away a better understanding of what living and being Amish means. How it is a reflection of their hope of heaven, and not just a simple way of life. I hope readers learn that not all Amish know Jesus. And that rejecting the lifestyle can mean serious consequences for family and community relationships in the orders that practice strict shunning. I also pray the message of God’s peace and contentment by faith in Christ comes through as a shining and remarkable hope for all of us. I am now working on book 2 of the Amish series, continuing Leah and Jacob’s story as they begin anew in Holmes County, Ohio among the New Order Amish. I am halfway through that manuscript. I also have book 3 in that series in mind, though it is only roughly outlined at this point. Look for more in book 3 about Leah and Jacob, and a reappearance of other characters featured in The Miting. And I am also anxiously awaiting the chance to have The Powerful Odor of Mendacity ready for publication. 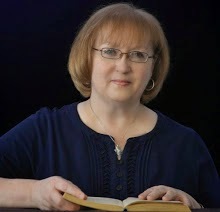 The manuscript won FaithWriter’s Page Turner competition in 2011. I love the main character, Annie Thomas, like a mamma loves her baby. The setting is the 1960’s Boomer era. It’s a wonderfully fun read. Q: How can we support and/or pray for you, Dee? Prayers are most coveted and appreciated because the writing of this Amish book series is deeply personal to me and a labor of love. I pray for before each writing session that God will use me and my words to craft the story He wants to tell. Knowing I have the support of readers is such a blessed and precious gift! In more hands on ways, reviews like yours are also a gift to authors in this day and age of Internet dominance. Now, more than ever, our book sales are dependent on good old word of mouth, so reviews on blogs, Amazon, and other social networks are whole-heartedly appreciated. Thank you for taking the time to read and review The Miting, Carole. And thank you to the readers who give life to my words. To enter the drawing for The Miting, simply leave a meaningful comment based on Dee's interview (something more than "I'd like to read this book") or a question for Dee - something about her ministry to the former Amish, for example. E-mail address are required for the drawing and be sure to leave them in a safe format - [at] and [dot]. If you're willing, it's also helpful to share about this giveaway on Facebook and/or Twitter. Contest ends at midnight PST on Sunday, October 5. No purchase necessary. Winner will be chosen by Random.org and contacted by e-mail on Tuesday, October 7. Respond within 48 hours of notification or another winner will be chosen. I have read a lot of Amish books and I think that this book would put a wonderful and sincere twist in this genre.I am looking forward to reading it! Paula, The Miting definitely goes beyond what I consider "typical" for Amish fiction, and that's what I liked about it. I also learned some surprising things about the Old Order group. I love seeing you here, Paula. I am looking forward to reading this book. It sounds very good. Dee, you book sounds wonderful. I would love to read it. Thank you for the giveaway! I have Dee's book The Miting on my Kindle, but I would love to have a paperback copy to collect and also to lend out to my friends to spread the word. It is a great book. I would actually definitely read it again. I think my question for Dee would be "what do you think the most common reason is for people to leave the Amish and do you think that more men or women leave?" Great question, Karen, and I look forward to Dee's answer. I would also read it again in preparation for the second book, and am eager to see what happens next. Thanks for visiting and leaving such a good question, Karen. Thank you posting a comment! I would love to win this book and give it to my mom who has diabetes and cancer and Reads a lot. This book is a lot different than the normal Amish book. I thought it was different and also very thought provoking, Debbie. Hope your mom gets to read it soon. Thanks so much for visiting! I really do want to read this in book form...a book in my hand. I would be grateful to have myown copy. Loretta, please leave your e-mail in order to enter the drawing. Thanks for visiting today! I think this will be great book to read! Very excited to read it! Gerri, don't forget to leave your e-mail address. I hope you learned some interesting things from Dee's interview. Thank you for visiting, Joan, and best wishes in the giveaway! Dee, the Ordnung with all its legalism sounds very similar to the Old Testament Law, in that no one can keep all the rules perfectly. Do you know what percentage of young people are leaving - I mean, isn't the Amish faith growing on the whole? Joe Keim of Mission to Amish People has said the majority--about 80-90% of the young people-- are staying Amish. One of the main influences is their cultural connections, which is also one of the most difficult things to give up once they do leave. There is some indication that as the New Orders and higher churches accept more modern conveniences, it's making it easier for young people to remain Amish. On the other hand, the strictest groups probably have the highest number of young people who leave. With the MAP Ministry, we have very little contact with the New Order youth who leave the Amish because their families are more accepting of having the children visit--the ties are not totally broken so they are not in need of as much support by mentors and non-family members. We have to remember, too, that among the lower order churches (strictest), the lifestyle relies heavily on tradition, and not as much emphasis is placed on living Amish "spiritually", so the Ordnung becomes just a set of rules the church is enforcing. This means the young people come away from the Amish with spiritual holes in their lives that need filling. Some fill it with drugs, alcohol and partying (or they have already begun doing that while Amish), but some look for a spiritual awakening. We find that those who fill those holes with spiritual food are the first to become stable, productive citizens among the English. And that mirrors what all people find when they search for a deeper meaning to life. Book sounds really good, love to read it. I will hold you and your ministry in my prayers. This sounds like a very good book, from a perspective maybe different from many. I would love to read it. Hey, I am going to be honest and say I don't read Amish books. I have always felt confused about them and the way they believe. I never really knew if they were Christians or a people who was more focused on how they live and the laws. I always wondered about the shunnings and how they could turn their backs on their love ones. Where is the forgiveness at? As Christians we are taught to forgive. You've answered some of my questions and I think you for that. I am hoping your book will help me to understand. Pamela, I appreciate you expressing those thoughts, because I've often felt the same. I do enjoy Amish fiction, though - probably because it is usually character driven. But I like the ones that bring grace into the equation. Thank you for commenting, Pam. I know it's confusing for many who hear of Amish forgiveness to English, but not to their own children. And believe me, for those who practice the ban, it truly does damage to relationships. If you do get the chance to read The Miting, I hope you find some answers, and understanding of what happens when the miting is used. Thank you Carol and Dee. I will look for this book and read it, if I don't win it. Sounds very interesting. Enjoyed your interview. Looking forward to reading your series. I love reading Amish books!! Amish and Christian fiction are my favorite. I have been waiting to read this book for a little while now. I want to Thank you for the opportunity to enter this contest. Would so love to win Dee's book. I didn't know know that there are many, many Amish sects. Some are more open to the gospel message of Jesus being our gate to heaven. Do some have Bible's or are most just given a message at meeting? I have been told that the Amish now watch TV and have electricity in their homes. Do you find that to be true? Partly true? Or, is it just a few who have jumped the fence, but if that is so, do they still consider themselves Amish? What an interesting story. I would love to read this book! Thank you for a chance to enter this book giveaway! My question is how often do you visit your husband's birth town? Anxious to read this book! I have visited Holmes County many times. 2 weeks ago we were at the Mount Hope Auction. I am fascinated with the discipline these people have within the family setting, and I love tasting their delicious cooking! I would love to win this book because I cannot read enough Amish. That is my favorite type of book....Amish. Thank you for sharing, and please leave your e-mail for the drawing! I have read many wonderful Amish books. The shunnings that happen in the families always break my heart. Maybe your book will give me more insight into this. Amish books are always a favorite of mine. We recently went on vacation in Colorado and met some wonderful Amish from Lancaster County, PA. Shunning is something I just can't understand - how they're able to do it, I mean. One thing I love about the Amish is their care and devotion to family, but I guess rules & laws come first. You had already entered, Debbie, so I have you down. So glad that you're thinking about your mom and that she enjoys reading. Dee, Thank you for sharing so much insight into the gospel and how the Amish view it. I have always been a bit curious on whether they believe in Jesus or not. Their ways seem to resemble slightly the law of Moses in the Old Testament. Do they base their set of rules on that or simply come up with things on their own? Thanks Carole, for having Dee on your blog and sharing this book with us! Looking forward to reading something by her. Thank you, Pat. I'm happy you've entered the contest and are willing to give my writing a try. That's a beautiful blessing to me! Cindy, I'm so glad to hear you're looking forward to reading The Miting! Yes, my publisher has signed me to write two more books in this series. I'm working on book 2 now. :) It sounds like you've touched base with many groups of Amish. Thanks so much for entering the contest and you're time to check out my book. Hi, I have not read your work and did not know Miting was another word for shunning. I would like to read this story and learn more. I feel since the amish are such a religous group they should be more forgiving. thanks for sharing about yourself here and your book to a fan. Rhonda, I have to confess that I was worried about my relationship with my husband's family once the book came out, but so far, things are okay. In the family, they wouldn't come right out and say bad things to me, but I might get a frosty greeting or two. No one has shared with me that I have read the book yet, but I haven't been on the radar screen, so far. Most of my husband's family are New Order or Mennonite so they are more apt to accept the message I have written into The Miting. Time will tell how the book will impact the family relationship in the future, but I'm praying the Lord's grace will cover and uphold those relationships, too. Thank you for your comment! What an exciting testimony. To have someone give their life to the Lord at your dining room table would be so wonderful. I'd love to read this book. Even if I don't win it here, I intend to purchase a copy. This book would be great to read to young readers. Finding books that students can relate to will help them understand the book. History, culture, and other types of topics are great to use in the classroom especially when reading a book that teachers those topics and keeps students interest. During this last year we have been "hauling" the Amish in the Clark, MO area and I have learned so much in addition to respecting the Amish families. On the first trip, they were so patient with me while I asked a thousand questions which they smiled so much as they answered. We have made friends with some of them. I just bought some chickens from them too! The Miting is an unusual title and I look forward to reading it some day. This book sounds wonderful. Thank you for the opportunity. It looks so interesting to me as we have recently had a split in our faith and those that left are leaning towards more 'rules' in order to get to Heaven and it grieves me. I understand what you are saying about more leaving the stricter, rule-laden ways and not many young ones followed or are wondering "why" they couldn't have just remained and followed stricter guidelines for themselves and kept the faith whole. But, as you pointed out, this has happened time and again over the ages. I would love an opportunity to read this book of yours. Gee, lot of amish fans here, interesting post today and enjoyed seeing a new author to me. I love to read these type books and look forward to reading this one. Miting is a new word for me, did not know this one. thanks for sharing. Paula O kyflo130(at) yahoo (dot) com. We live in an Amish community and laughingly tell people they can find our place, it's the first farm with a truck. It's not true - but it sounds good! They are good neighbors, always available to lend a hand if we need it, and the children do our farm chores for us when we go away for a weekend. They are Old Order but some of them have clearly put their faith and trust in Christ. Others, I'm not so sure. But I could say the same of people sitting in pews in my own church. I read many Amish and they are the most strict in their lives but also the most knowledge and wanting to show love for God by following the Bible. Congratulations to Elaine Shorb on winning The Miting! I sent you an e-mail just a few minutes ago, Elaine. Dee, I can't thank you enough for taking the time to be here this week! With your background and passion for helping the Amish, you're certainly a fresh voice in Amish fiction. I hope you'll join us when your next book is published, Dee. I have read many Amish stories and I must say reading this interview about this book you have wrote and the series that are to come has me very intrigued and wanting to read this book! You would be a new author to me and that is always a good thing when you can get to know more about the through their books. I would truly enjoy this book! I also live in Central Ohio. Holmes County. Where does Dee reside?